You may think that all Buddhist temples in China look the same ? but do you really understand their symbolism? We invite you to spend an afternoon with CCC expert and perhaps a monk at the Fayuan Temple, who will provide the keys to unlock the significance of buildings and motifs common to Buddhist temples. 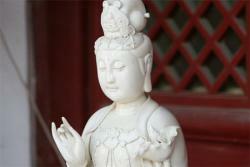 We will answer question such as, why do the luohan statues have long eyebrows and specific hand gestures? What are the eight Treasures? Why does the King of the North hold a snake in his hand? 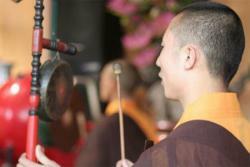 You will also learn the insights of Zen buddhism and how modern people live in a zen way in their fast-paced life. 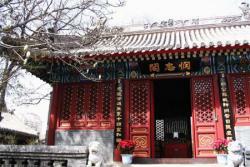 We will visit Fa Yuan Si, a famous historical Buddhist Temple in Beijing where it is also the location of China Buddhism Collage and China Buddhism Library. The talk will be conducted in English. Meet outside the entrance of the Temple. * Walk in the hundres years old and historically most famouse buddhist temple in Beijing, where is also the center for China Buddism Collage. * Both basic Buddist temple structure, statue symbols and in-depth Zen buddhism insights will be explained. 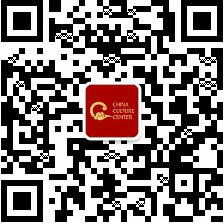 Address: Fa Yuan Temple (fa yuan si), Jiao Zi Hutong east of Niu Jie Street, Liangguang Dajie, Beijing. （one street east of the Niu Jie Mosque). It is located at Xuanwu District.